Designed to fit 89.5mm to 91mm press-fit bottom bracket shells, the Shimano XTR BB94-41A shaves 18 grams from its predecessor and offers improved sealing from harsh elements. A composite shell houses and seals steel bearings with an incredible attention to tolerances. This is a premium level bottom bracket offering the maximum in power transfer and a lighter rotational resistance. A solid drivetrain addition for any rider. I have used these for about 4 or 5 years. I replace it once a year but the old ones I take out are always still good. I only ride single track and lots of it! I replaced my entire sram drive train with a shimano xtr plus this new bottom bracket and I could not be more thrilled with the results. This is one of the best upgrades I have made to my bike in a long time. Top notch BB at a great price! Solid and smooth after nearly 5 months of use. Once I figured out that I needed a press-fit for my frame, this one was a no brainer. Easy installation with no creaks or squeaks. press fit, plastic bottom bracket... whats not to love. oh wait.. It works for now. Eventually, it wont. Especially with the wet PNW conditions coming. Thankfully, they are cheap. WILL THIS WORK WITH FRAMES/BB THAT ORIGINALLY HAD A SM-BB71-41A? 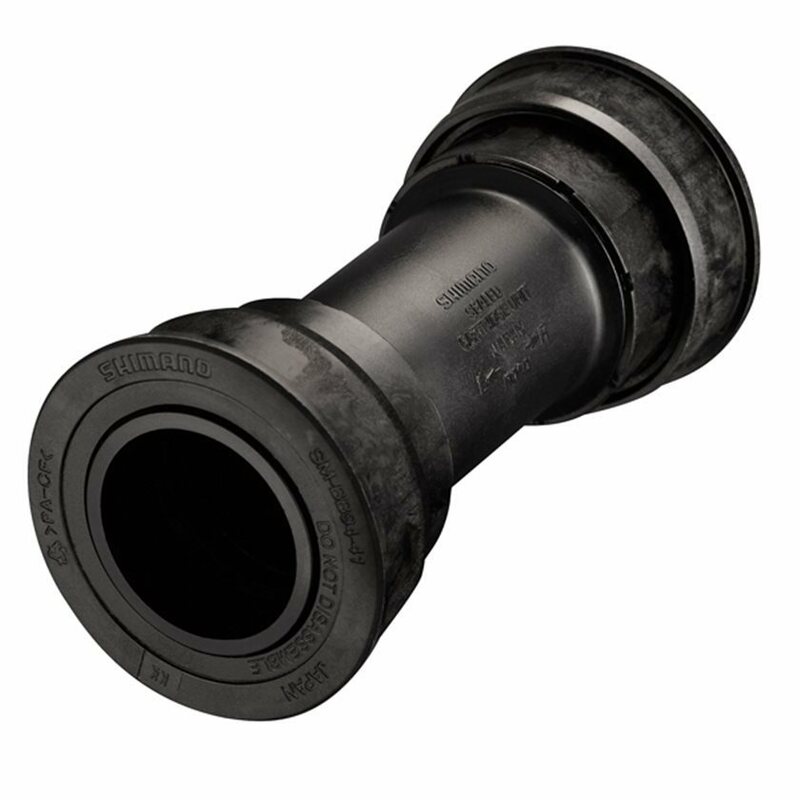 BEST ANSWER: The Shimano website states that both SM-BB71-41A and SM-BB94-41A are compatible for 89.5mm and 92mm bottom bracket widths, so I would measure your BB width to be sure it is one of those. If so, it should work. If you want to investigate further, check out Shimano website and "DM" (Dealer Manuals) for Bottom Brackets. Yes - both are made for 89.5mm and 92mm bottom bracket shells. Can this be a replacement to the SM-BB91-41 A ? I have a 2015 giant anthem 3. Would this bottom bracket fit? BEST ANSWER: Yes, should fit fine. I have a Trek Superfly Comp with a BB95 press fit that's set up for a SRAM gxp. I'm interested in the Shimano XTR m9000 1x crankset. Will this bottom bracket work? BEST ANSWER: Should work fine.